Both men's and women's retreats are offered as well as recovery retreats. Take Spirituality to the Next Level! 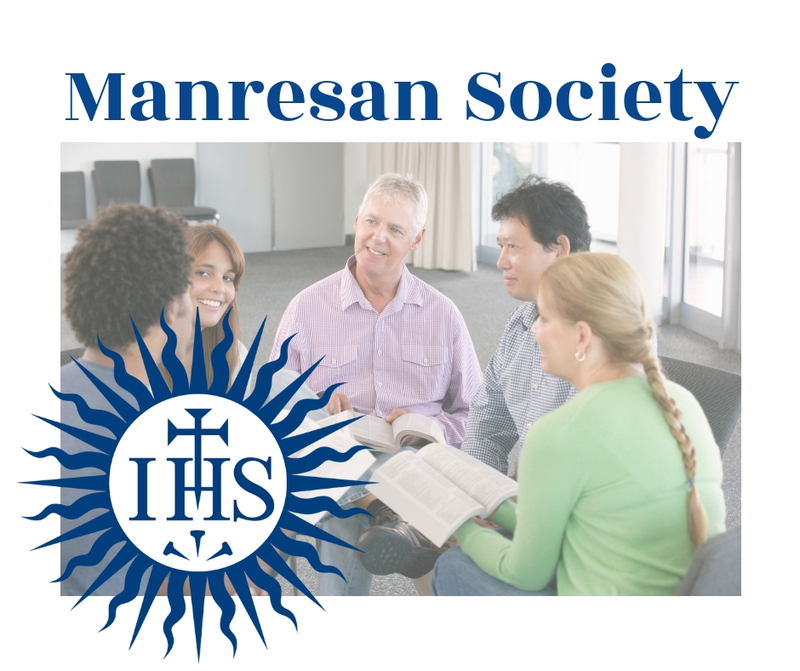 The Manresan clubs of Saint Louis have a long and illustrious history born out of laymen's desire to experience the benefits of Ignatian Spirituality on a basis more frequent than that of an annual Jesuit-led retreat. The movement continues today, offering men and women an opportunity to share their faith and experiences of Ignatian Spirituality with others. The mission of the Manresean Society is to provide a monthly renewal for White House retreatants under the guidance of Jesuits. White House retreats and Manresans share common orgins established over 80 years ago. Both reinforce and reflect upon the vision of St. Ignatius Loyola. During World War I, a group of laymen making annual retreats began meeting monthly to share their faith dialogue. The first group of 12, formed in 1921 and known as Loyola, became the first Manresan Club in the United States. In 1921, a second group formed and called themselves Francis Xiavier. Thus, the Manresan Society was born. There are a number of groups regularly meeting around the St. Louis area. We invite you to stop by any of the meetings listed below and experience the Manresan Society for yourself. For information about a particular meeting, please feel free to contact the group leader directly. Moderator: Fr. Robert O'Toole, S.J. Location: St. Louis U High second floor conference room in the north wing with Mass in the chapel adjacent. Please park in the St. Louis Science Center parking lot. Moderator: Fr. John Padberg, S.J. If you are a member of a Manresan group and the information for your meeting needs to be updated, please contact Joe Parisi at joep@whretreat.org . For information on starting your own Manresan Group CLICK HERE.